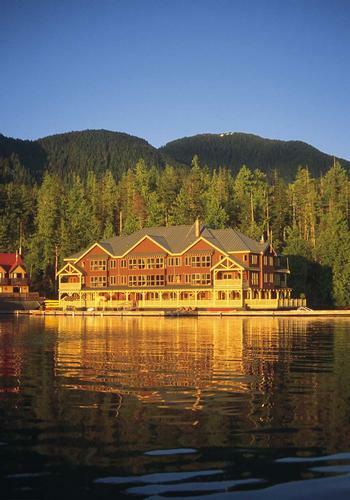 “You ain’t headed for a fishing shack,” quipped actor-director Kevin Costner, a regular visitor to King Pacific Lodge on Princess Royal Island, British Columbia. No indeed. Recipient of the 2011 Condé Nast Traveler’s Readers’ Choice Award as number one Resort in Canada for the fourth consecutive year, King Pacific Lodge, a Rosewood Resort, is the ultimate floating elusive all-inclusive. Each spring the three-story building, built on a former U.S. navy barge, is towed 160 kilometres south from Prince Rupert to Bernard Harbour and each autumn it returns to its winter dock, leaving only a minimal footprint on the environment but indelible memories for its guests. From the outset owner Joe Morita, whose father co-founded the Sony Corporation, was determined to create a viable and sustainable tourism model. 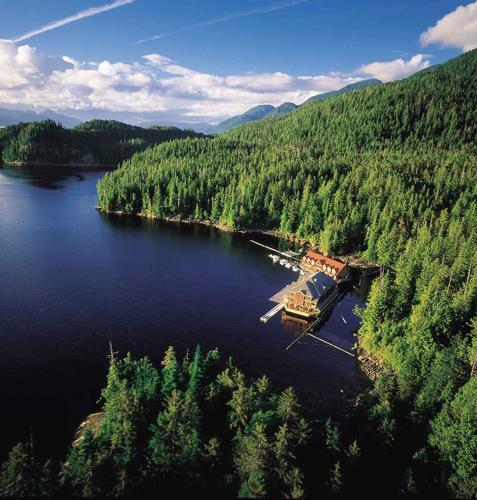 The lodge sits in the heart of the Great Bear Rainforest, 4.4 million acres of the largest temperate rainforest in the world. The journey begins in Vancouver where guests usually spend the night at the Fairmont Airport Hotel. The next morning they take a one-and-a-half-hour charter plane following the snowcapped Coast Mountain range to Bella Bella. From here it’s a half-hour floatplane into Bernard Harbour. 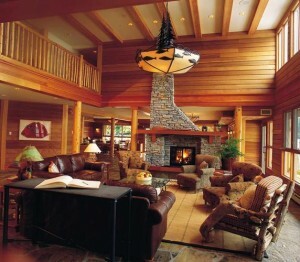 You may be in the middle of nowhere but you certainly won’t be roughing it. The lodge has 17 spacious cedar-paneled rooms with deep soaker tubs and floor-to-ceiling windows to bring in the great outdoors. Creature comforts include Cuban cigars, vintage champagnes and wines, single malts and Morita sake. As you might expect, the cuisine is exquisite specializing in organic seasonal produce and Ocean Wise sustainable seafood. The spa treatments use indigenous algae, sea salt and mud. Heli-hiking to remote trails, kayaking with sea lions, fly fishing or just enjoying seaweed crusted tuna at lunch while a mother humpback whale and her two calves breach in the bay are all possibilities. The staff has also forged a relationship with the Gitga’at, the First Nation people who have been stewards of this pristine wilderness for centuries. Trips to their village in Hartley Bay can be arranged. And just when you were thinking that this place sounds like something beyond your wildest dreams… it’s also home to a white bear found only in this rainforest and rarer than the Chinese panda. Zoologists call it the Kermode; the Gitga’at refer to it as the spirit bear. There are no guarantees, but many guests, with the help of local interpretive guides, have had the privilege of seeing this majestic mammal (white due to a double recessive gene) fishing for spawning salmon in the fall.